In a world where the international dimension is stronger as never, our consultancy relies on a solid and very qualitative European network : LeaderIA is a founder of INTERNATIONAL AGRIBUSINESS RECRUITMENT ALLIANCE (IARA). Thanks to his 15-year long experience, Dr. Clemens Schwerdtfeger and his team lead recruitments of expert and managers profiles in the sector of the agri-food industry. Our team is composed of experts of this business area and dedicated to clients experiencing a durable growth, attractiveness and prosperity. The consultancy “Dr. 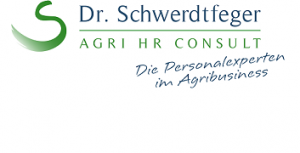 Schwerdtfeger Agri HR Consult” is the reference partner of companies and candidates in the agri-food sector in Germany and in European countries as well. It supports them in every HR existing problematics. 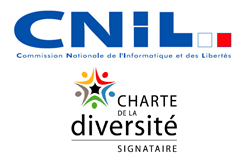 Customized and on-demand searching processes according to the clients’ requirements, a work hand-in-hand with the clients, a large professional network, an absolute respect of confidentiality and a very appropriate attitude . Here are the reasons to choose Dr. Schwerdtfeger Agri HR Consult, a trustful partner for both clients and candidates active in the agri-food industry. JP Trett is a consultancy specialized in the recruitment of positions in the agri-food industry such as : agriculture, horticulture, machinery, chemical engineering, agricultural sciences, research, equine and veterinary industries, breeding and fresh products in England and abroad. All our recruitment experts are provided with strong experience and knowledge in this area and with relevant qualifications – which gives them the reliability of absolute experts in the agri-food industry. Our Dutch partner is an expert of top executive positions and members of the Board. Continuation and humanity are the two core values of the company. As a talented expert of the Dutch job market and business environment, Volta Consultants is also a real support for managers in the case of transformation of organization.